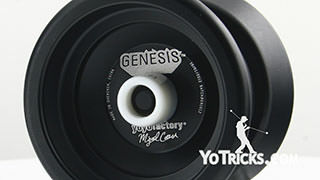 Get the inside story on the development of the Forge Yoyo made in collaboration between Sengoku Yoyos and YoYoTricks.com. 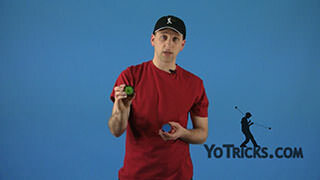 Forge Yoyo Review – Designer Insights Yoyo TrickThis is the YoYoTricks.com Forge. 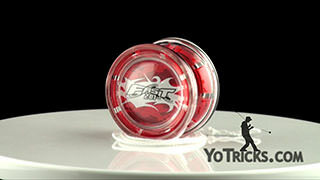 It was designed in collaboration with Sengoku Yoyos out of Japan. 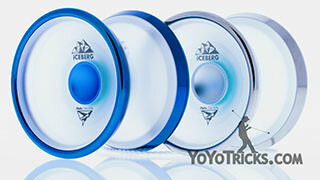 Sengoku is owned by Julio Rubles, a real tinkerer when it comes to yoyo design. He is always experimenting with new materials, new design concepts, and always makes a bunch of prototypes in order to fine tune every design. 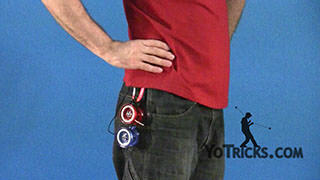 When it comes to yoyo design, there are two fundamental concepts that hold true in almost all instances. 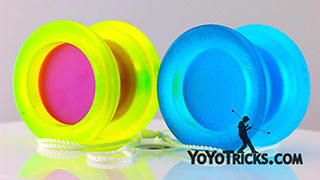 These are that Lighter yoyos play faster, and yoyos with more weight placed farther from the center of the yoyo spin longer. 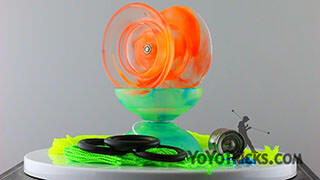 Yoyo designers are always trying to balance speed and spin time. 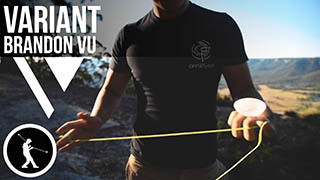 Different materials, and adjustments to the size and shape are used to achieve the best possible results. 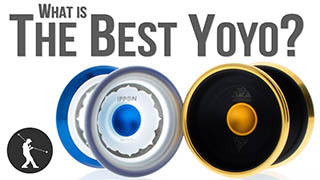 The standard for most metal yoyos on the market is 6061 aluminum, with some premium designs being made out of 7075 aluminum. 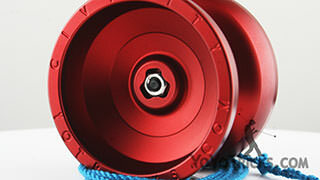 When designing with standard aluminum, you have to balance the weight and the spin power. 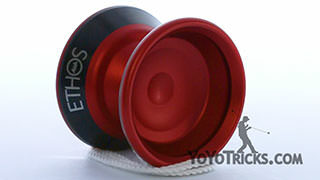 If you make the yoyo really heavy, it will spin a long time, but play slow. 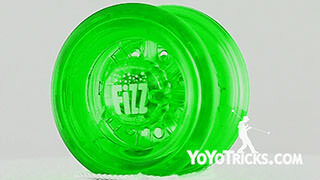 If you make the yoyo too light, it plays fast, but doesn’t sleep a long time. Because all of the walls and cuts need to be made fairly thick with standard aluminium because it’s not as strong as other materials, 6061 tends to be more limited when it comes to design. 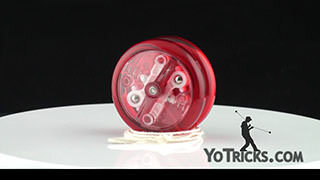 Overall, 6061 accommodates the needs for most yoyo players, while offering very affordable prices. On the opposite end of the spectrum is titanium. Because Titanium is so much stronger than aluminum, you can get the inner walls super thin, allowing you to put a larger percentage of the total weight on the rim. 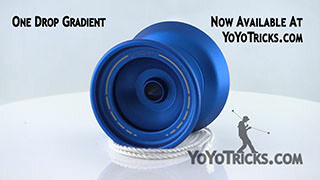 This allows a very light Titanium yoyo to have just as much or more power as a standard aluminum yoyo, while playing much faster than a standard aluminum yoyo because the yoyo itself is lighter. 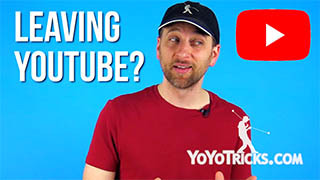 While this all sounds great, titanium yoyos tend to be about 6 times more expensive than standard aluminum yoyos, often making it impractical for competitive players to obtain a full competitive set of three or more titanium yoyos. 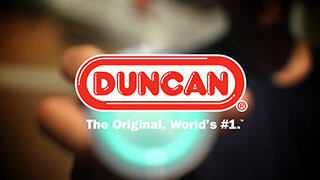 This is where the Forge comes in. The Forge is made out of 7068 aluminum, an alloy that is very hard and has a better strength to weight ratio than many types of titanium. 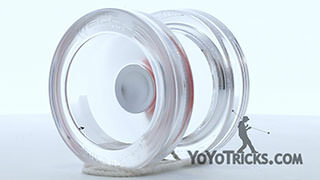 When designing a yoyo using 7068 aluminum, you can get the inner walls almost as thin as you can with titanium, allowing for a very light yoyo with a large amount of rim weight, which means a very fast and long spinning yoyo. 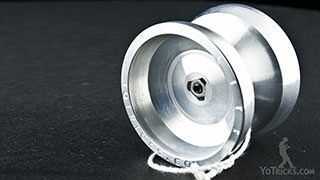 We actually find that the Forge weighs less than most titanium yoyos on the market, while also playing with more power. Because 7068 is an aluminum alloy, it has a handful of advantages over titanium. It’s much easier to machine than titanium, allowing for faster production and fewer defective units than titanium. 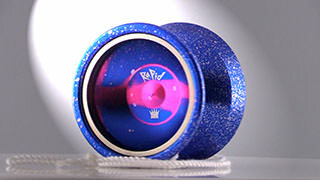 7068 can be beautifully anodized and blasted for a superior grinding finish over what titanium offers. Perhaps most importantly, 7068 offers similar performance to titanium, while costing about a third of the price. This is the first prototype of the Forge. 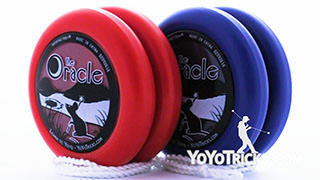 To achieve our goal of a Yoyo that plays fast and has powerful spin time we started with a standard V-shape, which tends to play faster than other designs. As you might be able to tell, it actually took a lot of inspiration from the Horizon. 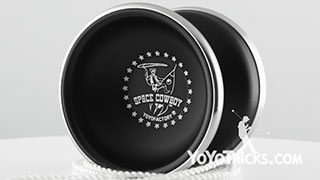 Both have very large diameters which yield very powerful spins since more weight can be pushed further from the center of the yoyo. Both also included a large finger spin bowl. Unfortunately, we found the bowl on the forge to look uninteresting, and it actually didn’t make the best use of the 7068 aluminum, because it forced a lot of weight into the center. So we went back to the drawing board and made the second prototype. We kept the profile almost exactly the same, and focused on re designing the inner cup. 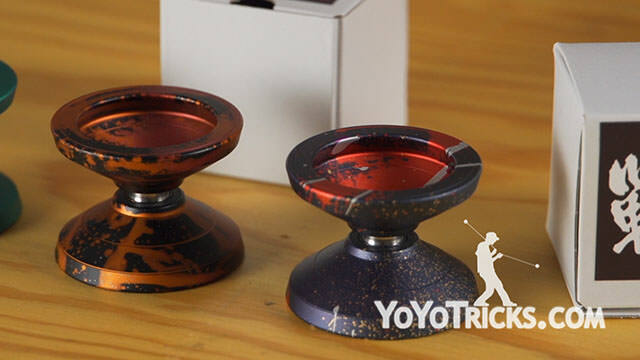 By taking out the bowl and adding a dimple, we were able to remove enough center weight to add a considerable amount of weight to the rim, allowing for a much more powerful spin. This Forge played great, but the finger spin area still didn’t work as well as we would have wanted. 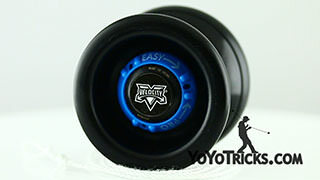 With the third prototype, which is identical to the production version we added a step to the side of the bearing, which freed up a ton of center weight and dramatically increased horizontal performance. We took that weight and were able to add a full two millimeters to the thickness of the rim, giving the Forge a more powerful spin. 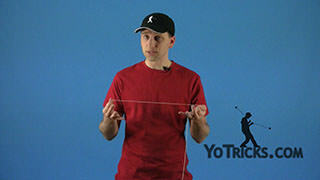 The step also allowed us to re design the finger spin area for long finger spins with very easy catches. After all of these design changes, the final forge came in at 57.6mm in diameter, 44.7mm in width, and 64.5 grams in weight. Overall we are very proud of the Forge. 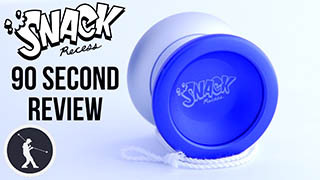 It was a ton of fun to design, and we think it’s an amazing competitive level 1a yoyo. 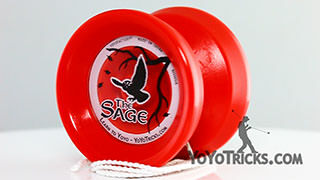 Special thanks goes to Julio from Sengoku Yoyos for all of his help with the design and production. The Forge is out now, and we can’t wait to hear what you guys think of it.